My name is Mike Ashurst, and my speciality is finding value in the big Saturday afternoon handicaps for all codes of racing. Each Friday afternoon I will focus on some of the most valuable and/or competitive races of the weekend and try to find some early value. I will offer my opinion on the value or otherwise at the top of the market and highlight a few horses that I think might represent some decent early opportunities. No stand out value at the top of the market, the 3 year old Tanseeb looks to have a good chance but needs to step up again to justify favouritism. I prefer fellow 3 year old Music Theory, who produced some good efforts as a 2 year old and can progress further. This one lacks a run but at 8/1 I think this is more than reflected in the price. At a bigger price, Edu Querido is better than the last 3 runs suggest, this is an easier task than he has been facing and the handicapper has given him a chance. 25/1 seems excellent each way value. Those at the head of the market are all showing good, solid form, but Intibaah may prefer it a bit slower and Music Master and Rocky Ground are surely too short at 7/2 and 13/2 respectively. The 3 year old Naadirr is progressing nicely, is bred to enjoy fast going and should go close at 9/1 if recent good efforts haven't taken their toll. The Dubai form of Ahtoug reads very well, and although this one has mainly been raced over 5f and hasn't yet produced his best on really fast ground, he shapes as though the extra furlong should suit and at 11/1 is worth taking a chance on the ground. Can strawberries help you bet better?! Strawberries without cream just doesn't taste right for me and in the same way I'd like to share with you a brief explanation of why if you're comparing ROI (Return on Investment) to your systems or tipsters selections that you should also be including ROC – Return on Capital - a less commonly used concept but potentially more important for anyone taking their betting exploits seriously. ROI is a commonly used benchmark used to compare actual betting returns based on your stakes and provides a simple measurement figure that demonstrates the profitability from the selections calculated. However the ability to understand and calculate Return on Capital (ROC) is perhaps as crucial in order to leverage the most value from your betting bank, assuming of course that you are following Rule 1 of successful betting and actually using a betting bank? For anyone new to racing and maybe not as “betting worldly wise” as myself or many others (I learned the hard way through bitter experience) the wisdom of following tried and tested rules eliminates many of the mistakes that I and many others before me have experienced. Here is a list of the mistakes that I personally aim to avoid and perhaps at a later date I'll explore the reasoning and rationale behind all of them. Numbers have always fascinated me and it's true to say that the my education wasn't entirely wasted but racing and betting have been the main beneficiaries of my “A level Maths with statistics” and the mathematical links between Strike rate, Correct Staking, ROI & ROC are all crucial to sound betting bank management and it pays to understand the importance of all four, but for today I'll focus on Return on Capital. So armed with your betting bank - let's assume a starting bank of £2000 and having done your homework you decide that you will only invest in any selection process that generates a minimum historic proven 10% ROI. This means that for every £10 staked you would expect to have a return of £11 generating £1 profit. However the ROI measurement on its own is only one part of the equation and used on its own can potentially be detrimental to making the most profitable decision as we'll see. Option A – selections average 3 – 4 per week let's say 200 per year. Option B – selections average 1- 2 a day let's say 500 per year. Option C – selections average 3-4 a day let's say 1200 per year. Now assuming that all three options have a similar strike rate (The Strike Rate will determine our most appropriate staking) we can now easily calculate how much our initial £2000 bank should grow in a full year by using the historic ROI figures of each option with the number of bets to calculate the Return On Capital after one year. Option A - 200 bets £2000 staked @ 30% ROI = £600 profit. Option B – 500 bets £5000 staked @ 20% ROI = £1000 profit. Option C – 1200 bets £12,000 staked @ 10% ROI = £1200 profit. So surprisingly the lowest ROI option, C, actually generates the highest amount of profit from your bank after a year. Indeed, it was twice as much as option A that had the highest ROI. So whilst you may not be winning as much profit on each bet with option C the fact that you have a much higher number of bets provides for a greater annual profit. It's very similar to the “pile them high sell them cheap” concept in that you can afford to win less because you are betting on more selections so over a period of time you actually win more. This calculation is referred to as the Return on Capital (ROC) and in the above example would be shown in percentage terms like the ROI figures i.e. The ROC calculation is used to calculate the size of your betting bank after a period of time, so whilst the ROI figure is important, the ROC calculation is perhaps as crucial in identifying how much your betting bank may grow after a period of time and therefore enables you to leverage the maximum earning potential from your betting bank. For anyone taking their betting seriously and using a betting bank you really should be considering and calculating both Return on Investment and Return on Capital for your selections. Russian Realm is the clear favourite but for me has too much to prove to justify his position at the head of the market. St Moritz is very well weighted on old form but needs to take another step forward to get involved and 7/1 seems a bit stingy. 8/1 for Gabrial’s Kaka seems fair enough if he can get back to his spring form, which he may well do with excuses for the last two runs. Brazos is the pick of the 3 year olds and 10/1 seems decent value (a word of caution, only one 3 year old has won this in the last 10 years). If Snowboarder can come on from his last run then with the ease in weights the 16/1 on offer could be extremely good value. Prince of Johanne has been sliding down the weights but came good to win this last year and at 14/1 it is worth taking the chance that he will do so again. For once I can’t argue at all with the head of the market. The relatively unexposed Havana Cooler is the worthy favourite, and 4/1 is about right for his chances. Mighty Yar was beaten favourite last time but with only 5 runs behind him he could bounce back and the early price of 8/1 reflects that. Magic Hurricane should handle the ground and has an obvious chance if he continues to progress, but again I wouldn’t take anything less than the 7/1 on offer. The more exposed Salutation ran a blinder last time and may still have more to come as a 4 year old and 10/1 seems fair. 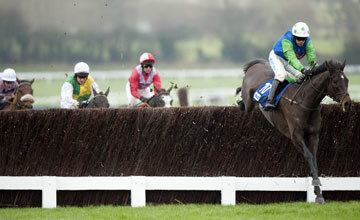 The one that sticks out a mile for me as a value bet is Blue Surf. He has figures similar to those at the head of the market and although he is more exposed and could find one or two improvers too good for him, the form is rock solid and I’ll be backing him each way at a generous early price of 16/1. Muthmir is the clear favourite here, which is probably fair. However, 7/2 is too short for me for a horse that was beaten favourite last time and hasn’t run for ten months. 7/1 for Clear Spring is much more like it, but it will not be easy giving weight all round and will need to repeat his last performance to defy this mark. Mississippi made a good reappearance, if he can build on that then he could also get involved at 10/1. Of those at the top of the market, Dream Walker looks the best value at 11/2. Almargo has a good chance with the weight allowance but may find this tough against some experienced rivals. Further down, Smarty Socks is not the force of old but under these conditions can go well at 10/1. If Cosmic Chatter enjoys this longer trip then he also has a chance at 11/1. Angel Gabrial and Suegioo are at the head of the market based on their 1-2 last time out, but I’m not sure how that Chester form will translate. Van Percy ran a blinder last time and shaped as if the extra distance will suit, so at 11/1 makes a lot of appeal. Totalize is another one heading in the right direction and is likely to be suited by the step up in trip, so 16/1 shouldn’t last. Of the others, Noble Silk showed he handles the trip last time and Tropical Beat is a consistent sort so at 20/1 both seem reasonable each way prospects. Also of interest is Mawaqeet, this one has proven he handles quick ground and if he can show anything like the form of last year at this trip then surely 33/1 is too big. Not a handicap, but certainly competitive enough to get stuck into. 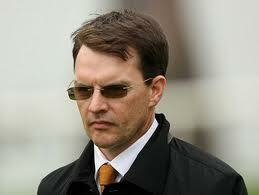 As I write, Slade Power (7/2) and Aljamaheer (9/2) have obvious chances and deserve to be at the head of the market. However, this looks competitive and at those prices I’m looking for value elsewhere. The 3 year olds Due Diligence (7/1) and Astaire (10/1) could both make the most of their weight allowance, and while I’m always wary of younger horses meeting more experienced rivals there could be a little bit of value in their prices. Gordon Lord Byron has similar form to the favourite, ran well last year despite running keenly so looks a generous price at 9/1 if he can handle the occasion better this time. Completely unexposed to British racing, if American Devil handles the ground then 20/1 looks a very fair each way shout. At the top of the market Ninjago (8/1, open to further improvement) and Seeking Magic (12/1, staying on over 5f last time) look worthy favourites and the prices look fair enough. Both have strong chances and I would be looking to back either of them if they were to drift in the market. I would have Rocky Ground as favourite, this horse is on the upgrade and provided he doesn’t bounce then the 12/1 on offer looks good value. 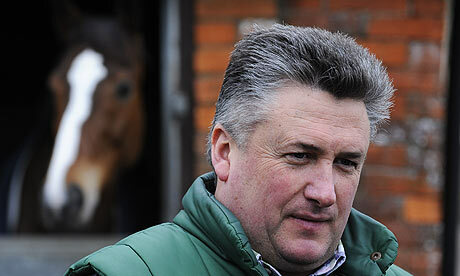 The only worry for Baccarat is if he prefers a bit more cut, but at 14/1 I’m willing to take a chance on that. Elsewhere, Professor is very reliable, loves the going so I will be backing him each way at 20/1. Dandy Boy doesn’t seem to be the force he was, but at 5lb lower than when he won this race two years ago then in a strongly run race he doesn’t have to be and could make the frame at 20/1. Following on from my debut article about my approach to ‘profiling’ I thought I would share with you an interesting mini system that it may be worth following (paper trading first of course!). Firstly can I also say a big thank you to the 220 odd people who read the article – I hope you found it interesting. Before sharing the system I should highlight that one of the horses put up to follow in the article above runs in the 8.40 at Haydock. Hydrant is his name and I have been waiting for him to run in June as 3 of his 4 career handicap wins (for two different trainers over 2012-2013) have been in June and he appears to peak at this time of year. This race looks wide open but on the back of his decent run LTO I am happy to back him EW at 6/1. I won’t be going mad as he doesn’t win that often and he is still a few pounds above his last winning mark but I expect a solid run. Anyway, that is Hydrant, I now want to discuss Hannon and Haggas. As well as ‘profiling’ I like to build systems (using horseracebase.com) and to experiment with different ideas. These can range from systems that may make 150-200 points a year to mini angles that may make 25-50 points a year. My main focus of attention is on trainer angles and I thought I would share this little mini system that I created last night. It is hot off the press and clearly I haven’t been tracking selections but I have been impressed with the historic results. I will be paper trading these over the next few months to see if they continue as they have done before and if so I may back them properly next season. Running in the same class or up 1 class from last run. And that is it. I am a great believer in keeping things simple with these mini angles but from the results below it is clear that these two trainers are adept at returning last time out winners back to the winners enclosure. 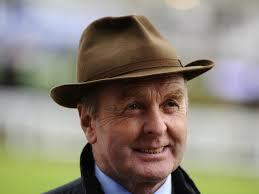 The note of caution is that up until the start of 2014 the results for Hannon were for Hannon Snr. 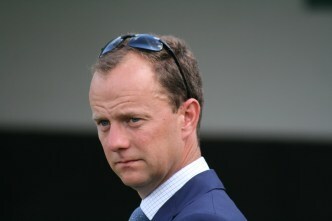 I have no reason to think Hannon Jnr will not continue and other than the name on the paper work I am not sure if too much has changed at the yard. Now I am not too sure what happened in 2011 but both yards slightly underperformed with the win percentage 10% or so below the other years and that clearly made a difference. Thankfully not too much damage was done and using BOG I am sure a small profit would have been made. I like the fact that he appears to be getting better with this type of runner and although he has had one very good year his stats are generally consistent and it will be interesting to track how he does during the rest of this year and whether he can repeat 2012 and 2013. With strike rates above 25% it means losing runs should not be too severe. In fact the longest losing run has been 10, which has only happened once. From 2009-2013 these ‘two’ trainers have averaged 25 points per year combined and as a mini system I don’t think that is too bad. They are both performing at least 30% above market expectations so there is every reason to believe they will continue to make steady profits. 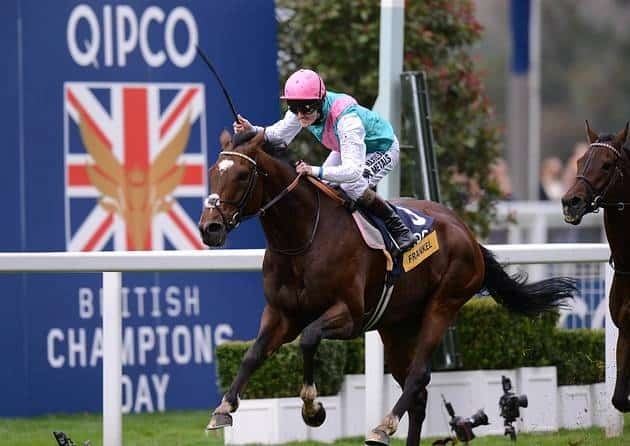 There are many ways to find winners in this great sport of ours and no doubt you will have your own favoured approach when choosing which horses to back. One of my preferred methods is unearthing horses that have demonstrated a clear preference for certain conditions. It takes a great deal of time to find these horses but it is well worth it. In this article I plan to touch on my approach to profiling and to highlight a few horses that it may be worth following. So, what do I mean by profiling? Course – an obvious one I know but it is still a great angle in. Days since run/rest pattern – one of my favourite angles in. 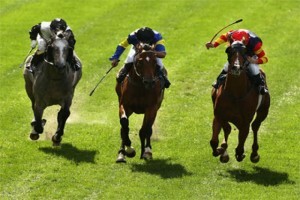 Some horses demonstrate a clear preference for the amount of time they spend off the track between races. This could be down to breeding, or down to the methods of the trainer or something that I haven’t even thought about! Time of year/month – we all know about seasonal horses. Finding horses that clearly favour the summer months for example is always a great angle in. Some horses simply appear to always peak at a certain time of year. Number of runners – again, nothing new here, but horses are herd animals and some simply do not like to be crowded, preferring single figure fields that they can dominate. Some horses prefer open spaces so they can see their fences clearly and on the other hand some horses prefer lots of runners to give them a lead. Some may be front runners and can get an easier lead when there are fewer runners. Course direction – a horses preference for left handed/right handed/straight courses is an essential checks for me. There are many horses that show a clear preference for going one way or the other and some flat horses only perform on straight tracks. ‘Surface’ – I am not talking about AW or grass here but whether the track is flat through to undulating. This preference can be hard to interpret sometimes and actually the ones that stand out most are those that prefer flat courses. Some horses, whether it is because of how they are built, or whether they suffer from sore shins for example, just cannot handle undulating tracks. I am aware that there is nothing new that I have mentioned above, however I have found that it pays to keep horses that show a preference for one or more of these conditions on side. I have over 100 such horses that I am currently tracking, some with confirmed conditions, some in the ‘development stage’. This number is growing all the time. It takes patience as you can spend a couple of hours looking through 50 or so horses and find nothing! Before sharing a few of them with you it is worth pointing out that these preferences are a ‘way in’ and standard form analysis should always be used before wagering. Clearly a horse will have a ground and distance preference, maybe even a particular jockey preference. They will also have a rating and a class ceiling that should not be ignored as well as any other number of factors that you may use. As always you want to find value and often I want horses that have a high place SR within their set conditions to allow for a good EW bet. I like to keep things simple and straight forward and often one clear preference is enough for me to take notice. I should add one more point - the horse must have demonstrated their preference outside of maiden/novice company. As we know horses can simply outclass rivals in these races and conditions do not matter as much. As such I am often looking at exposed horses and focussing on their performance in handicaps. It is best to demonstrate the above in practice. This grand old servant is now 11 years old and he may not ever win again but he is worth highlighting as he was a 12/1 winner for me at Cheltenham last November. 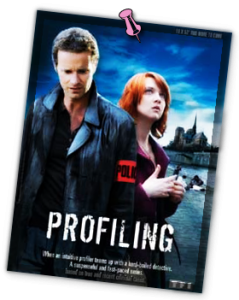 He actually sparked my interest in ‘profiling’ when I unearthed his preference about a year ago. Importantly he has run 12 times when returning outside of this period and only has 1 win and 2 further places to his name. Clearly he is a high class horse that wins plenty, but this preference jumped out at me. I added him to the tracker and waited, and waited some more. He then popped up within the rest period. He suited the conditions of the race and was an obvious EW bet. Thankfully he went on to win. 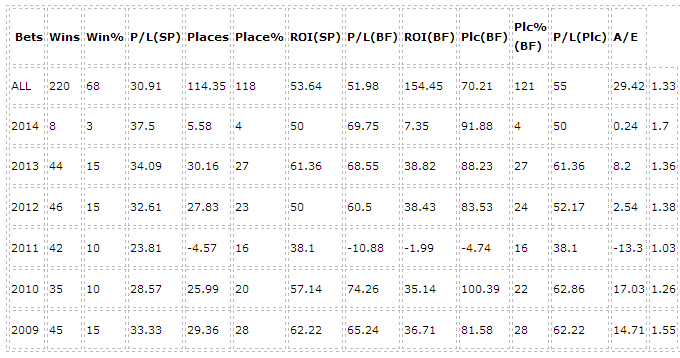 Backing every one of his runs in this period has been worth some 32 points to industry SP. For me this is invaluable knowledge to have on your side. Runs: 7 Wins: 5 Places: 1 = 44pts ISP. Only once out of the places. I though he was worth tracking. On the 6th May he turned up at Catterick again, some 18 months or so after his last visit. Stevie Donohoe (8 runs 4 wins) had been booked and he was 10/1. Other conditions were fine and I had a good EW bet. He needed a strong pace as he comes late and fast and thankfully he got it here. He won in the shadow of the post at 6/1sp. He returned to Catterick again just over a week ago. I had a slight doubt about the class/rating level, but he just loves Catterick and he went in again at 17/2 (bigger odds in morning). I may never back him again but he has done his job for me now and has won me some 20 odd points. Conditions: he is what I call a ‘small field horse’. Runs 8; Wins: 4; Places 2. More than 7 runners – Runs 9; Wins 0; Places 4. Now, this is not to say he can’t win with more than 7 runners, but he has a clear preference (and/or trainer is very good at plundering races with 7 runners or less. Either way, it pays to follow). He also has a clear class ceiling and is yet to win above class 3. On the 24th May he ran in a 6 runner race at Southwell, he was 4/1 in the morning and won at 7/2. Another rest pattern horse that has always ran well when returning within 16-30 days of his last run. Runs 10; Wins 4; Places 3 = 24pts ISP. When returning at other times – Runs 16; Wins 1; Places 4. To me that is a clear preference and one I will continue to keep an eye on. Thankfully I unearthed him before his run at Carlisle on the 13.03.14. He was returning within 16-30 days, had the good-ish ground that he needed and after further form analysis was worth a bet at 8/1 EW. He won well. He is 10 now but hopefully he has won more win in him somewhere when getting his conditions. Of course they do not all win but I hope these three examples help to demonstrate how angles like this can really pay and make this great game even more enjoyable. Runs 6; Wins 3; Places 1. All other months -Runs 29; Wins 1; Places 9. The wins in June were in consecutive years (1 in 2012, 2 2013) which makes me think the trainer is good at getting him to peak this month and the horse looks like he enjoys the summer months. He ran today and I had a small interest bet in him at 10/1 given that he has placed 3 times in May and it is June tomorrow. He came second at Chester and very nearly won, however he was trapped wide all of the way round. I will be very interested in him if he comes out in the next month or so and I hope his price allows an EW bet. I would add him to your geegeez tracker and we can see how he does next time out which I assume will be in the next 4 weeks. 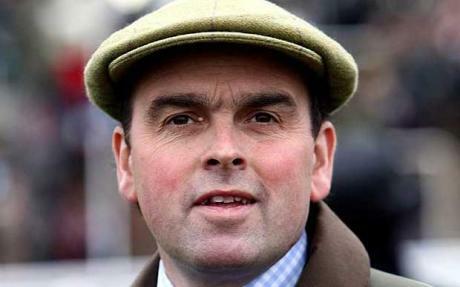 Four of those wins have been on the flat but I suspect Peter Bowen may well be aiming him at something this summer and given that he appears to peak at this time of year he is worth keeping on side. A rather long article but I hope you have found something of interest in there and hopefully both Hydrant and Kians Delight will winning soon. There is something very exciting about unearthing a horse with a clear preference and adding them to your tracker. Arguably it is a simplistic approach but it works for me! The current joint favourite Goldream ran a cracker last time on good to firm ground and has obvious claims based on that. The opening price of around 11/2 looks about right but there is enough doubt about him reproducing that form on soft ground for me to look elsewhere. The other jolly Don’t Bother Me was also of interest to me dropping down in trip, however again there is enough doubt for me to take this one also at 11/2. Hoodna is one that interests me. He is unexposed and needs to prove himself in first time hood and on this surface, but there is enough juice in the opening price of 12/1 to take a chance with him. The other one I like is Picture Dealer, who was fairly progressive last year and ran a decent comeback race on soft ground so looks reasonable value at an opening price of 14/1. If Mighty Yar acts on the ground and continues his progress then he could well be the one to beat, and there is a slither of value in the opening price of 7/2. Fellow jolly Rye House also has a good chance on his comeback run, however he needs to improve again over a longer trip and 7/2 looks a little too short for me. Plutocracy was progressive last year and I wouldn’t put anyone off backing this one, however with question marks against fitness and ground I’ll watch him on this occasion. Looking further down the market, conditions look fine for Macbeth if he is ready to go first time and I’m happy to take a chance at 25/1. The top 2 in the betting, First Mohican and Rawaki, both hold their chances if building on recent efforts, but with proven course form I prefer Clever Cookie at 6/1 to improve again at the longer trip. Shwaiman has shown enough in his two races this year to suggest that he has improved as a 4 year old, so at 14/1 represents decent value. Party Line acts with cut and if he comes on for his comeback run is on a fair mark and I’ll be playing her each way at 33/1. Alben Star is in great heart at the moment, but with his best form on AW surfaces or ground quicker than he is likely to get here, I’ll swerve him as favourite. Monsieur Joe on the other hand ran his best race for some time when beating several of these over course and distance last time, if he can continue in that vein of form then a five pound rise might not be enough to stop him at a decent price of 11/1. Secret Witness may have got much closer to Monsieur Joe with a clear run last time, with a similar performance and better luck in running he also has a shout at 12/1.